Medicare is mandated to cover your home health benefits with no limit on the time you are covered. Unfortunately, few Medicare beneficiaries get the level of service they are entitled to and many find their services cut off prematurely. Getting these benefits can be critically important. Medicare home health care benefits can mean the difference between being able to stay at home with a difficult medical problem or ending up in the hospital or a nursing home. Your doctor must have ordered home health services for you. At least some element of the services must be skilled, skilled nursing care, physical therapy, or speech therapy. Requiring an element of skilled care also will entitle you to Medicare coverage of social services, home health aide services, and the necessary medical supplies and equipment. You won't have to pay anything for the home health benefits, but you will have to pay 20 percent of the supplies and equipment. Under the law, you are entitled to 35 hours of service a week, but few Medicare beneficiaries who meet the home health care criteria actually get this level of service. If your services are terminated prematurely, you will need to appeal. If you have to appeal, the good news is that most people win their cases. In fact, 81 percent are successful on appeal to an administrative law judge. If you can you should continue to pay privately for the care during the process. Remember, the issue you are appealing is not the termination of service, but the denial of Medicare payment for the service. 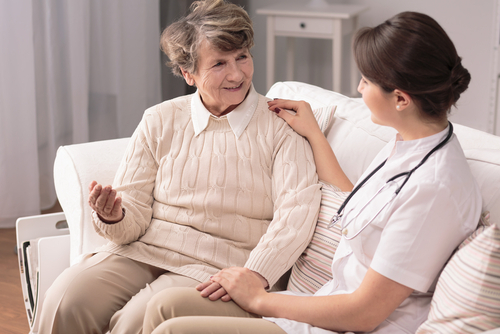 Ask your home health agency to explain the cutback and write the information down. Ask your physician to call the agency urging them not to cut back the services and, then have the physician send a letter detailing the level of care you need. Consult with a Medicare assistance agency or your attorney to determine the likelihood of a successful appeal. If you decide to appeal, do so immediately and make sure you make arrangements to pay privately pending the result of the appeal. If you need help securing home health care, contact your attorney.